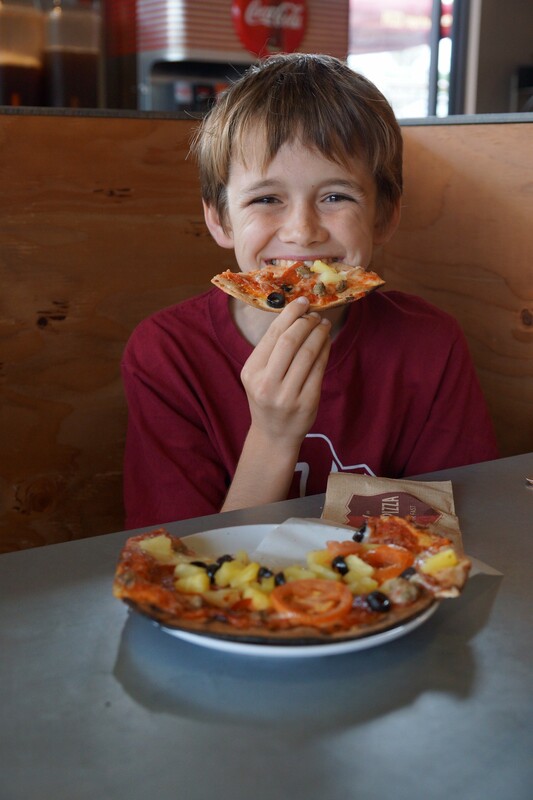 After dropping my little one off at a birthday party at Chuck E. Cheese, I took my two older kids for lunch at MOD Pizza in Laguna Hills. 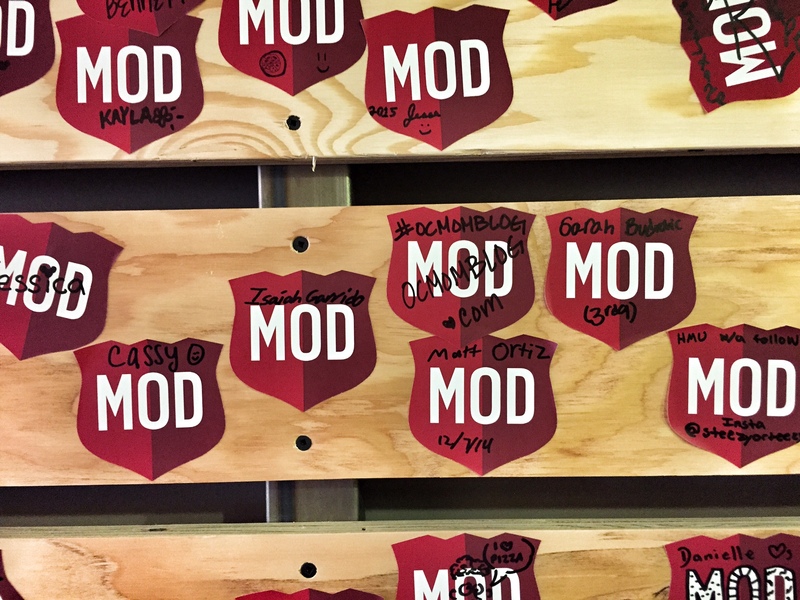 I kind of felt a little guilty cheating on my favorite fast-casual pizza place, Blaze, but the guilt quickly disappeared after my first bite of lunch at MOD Pizza. 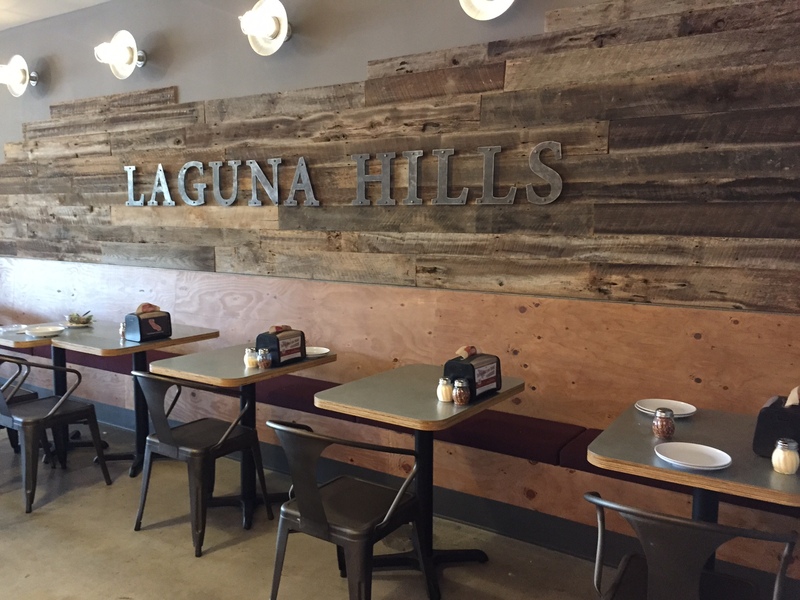 The new pizza place is located in the newly remodeled shopping center at the corner of Moulton and La Paz in Laguna Hills. When we first walked into the restaurant, it had a cool hip vibe that my tweens fell in love with. They didn’t care what the pizza was going to taste like; they fell head over heels in love with it just because of the vibe. 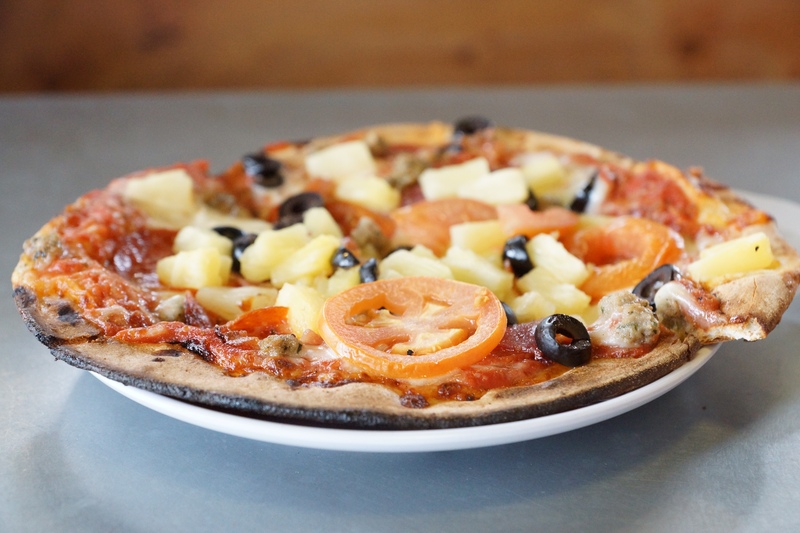 Ordering is simple with a 1-2-3 process. 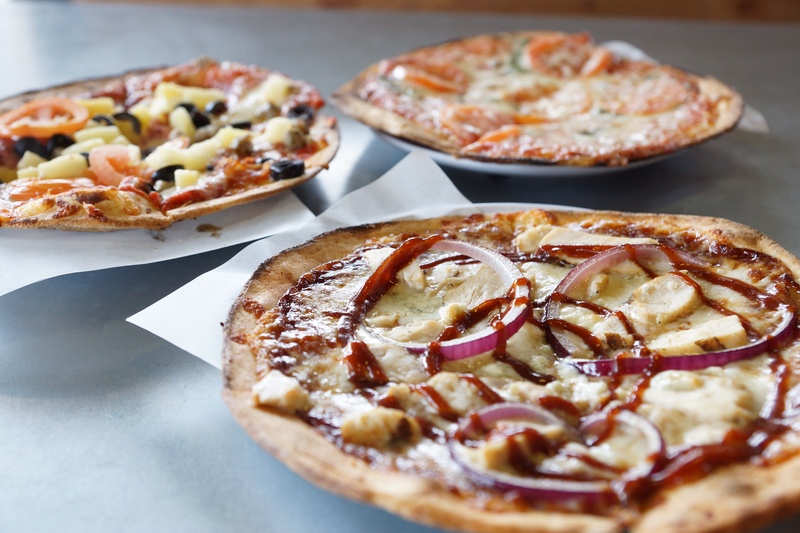 First choose if you’re ordering a pizza, salad or MOD pizza (salad on top of a pizza crust). 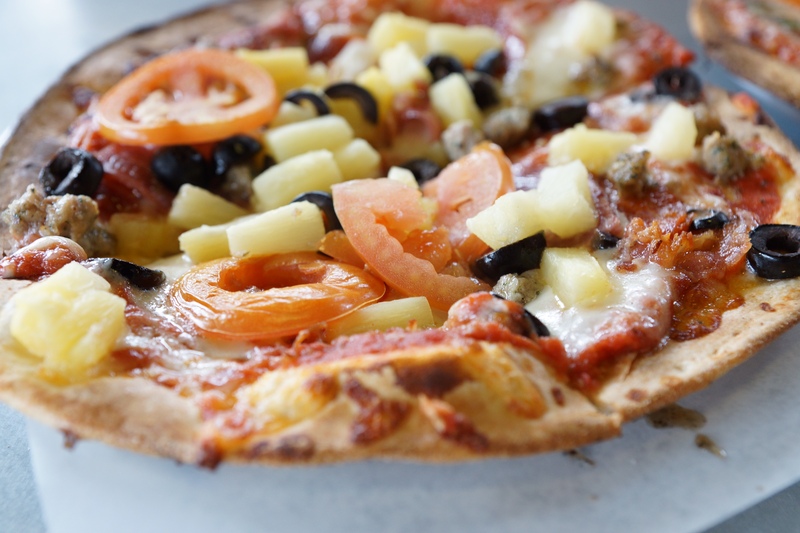 Then choose a classic, modify a classic or create your own pizza. The best part is that there are no hidden fees, and the kids can add as many toppings as they want for just one price. My older son challenged himself to see how many of his favorite toppings he could pile on top of his personal pizza. While the combination he selected didn’t seem like it was going to be appetizing, it turned out to be pretty tasty. 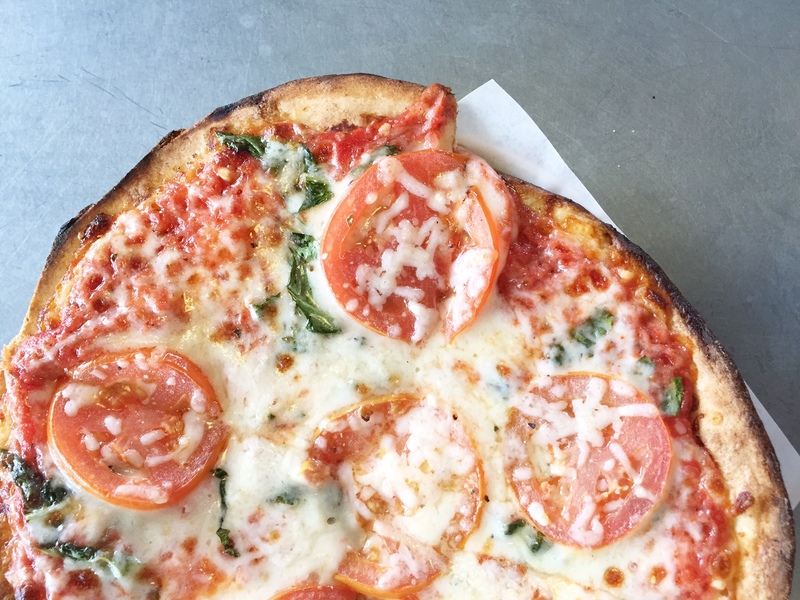 My daughter and I stuck to the menu with her ordering the “dillon james.” The pizza came with a red sauce, garlic, fresh basil, mozzarella, tomato, and asiago. 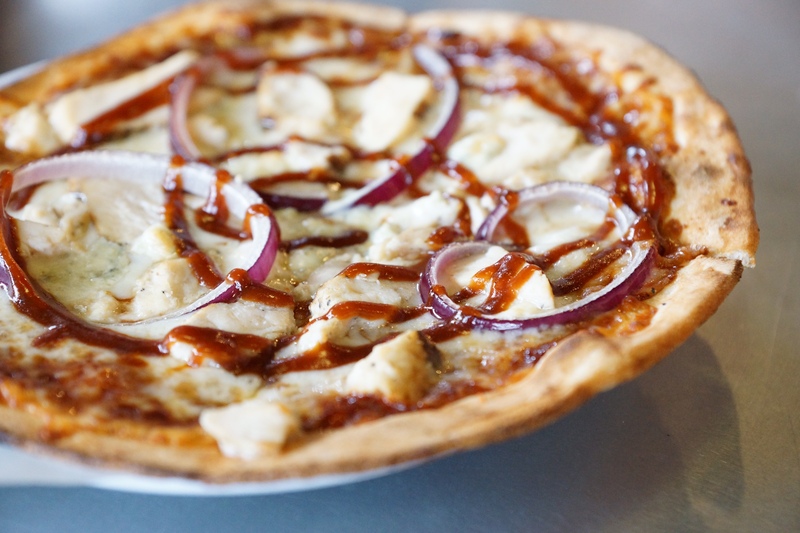 I ordered the “caspian” featuring bbq sauce, mozzarella, grilled chicken, red onion, gorgonzola and a bbq swirl finish. I was not feeling 100% but still wanted to try some of their pizza, and the “caspian” quickly became my new favorite pizza. The gorgonzola paired with the bbq sauce gave it a rich and sweet flavoring. While the kids were eating their pizza, the staff gave the kids some stickers to write their names on before sticking them on the sticker wall. The kids were kept busy the entire lunch decorating their stickers and finding the “perfect” place to put them on the sticker wall. 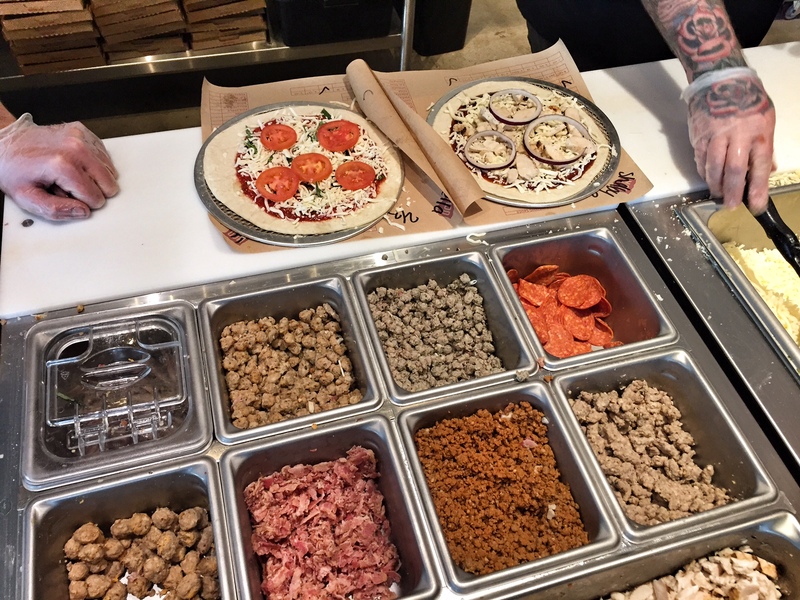 The pizzas are priced right at $4.87 mini (6″), $7.87 mod (11″), $10.87 for a mega, and $9.87 for a MOD pizza salad. When we checked out, the cashier just assumed that we ordered three MOD pizzas, and I only caught the over charging because the total came in over $30…when it should have been about $15. I recommend being clear on the size you’re ordering, and double check your receipt to make sure you get charged for the right size. 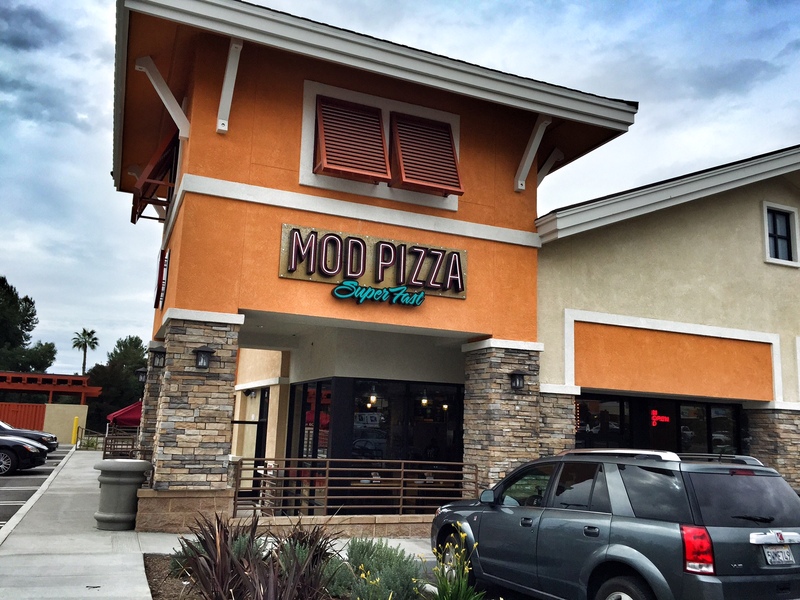 MOD Pizza is located at 26562-A Moulton Parkway in Laguna Hills.